If your budget doesn’t quite stretch to a full-frame DSLR, but you consider yourself to be a passionate enthusiast who likes to take their photography seriously, an APS-C DSLR is one of the best choices you can make. Opting for a mid-level or enthusiast model ahead of an entry-level DSLR has many benefits, not least in superior build quality, greater extended functionality and a range of customisation options that will allow you to set up and control the camera quickly just as you’d like. The finest APS-C DSLRs also benefit from being supported by a vast number of lenses and their crop factors can play a vital role in offering a bit more reach when you’d like to get closer to the action. Over the page, we’ve narrowed down the very best APS-C DSLRs. Replacing the K-50, the Pentax K-S2 is a more advanced camera than the K-S1 – you get a lot for your money. The K-S2 has a 20.1MP APS-C CMOS sensor which boasts an ISO range of 100-51,200 and has had the low-pass filter removed for maximum sharpness. Any concerns about moiré and alias patterning are managed through the anti-alias filter simulator provided by the built-in image-stabilisation system, which provides 3.5 stops of benefit and works with almost any lens. Along with the 3in, 921k-dot LCD is an impressive viewfinder offering 100% coverage. Also, as it’s the pentaprism type (rather than the pentamirror type), it remains bright despite its larger size. Other features include in-camera Raw processing, HD video capture and built-in Wi-fi and NFC connectivity. Despite the body being mainly plastic, the K-S2 feels solid in the hand and is weather-resistant. It has a good, substantial handgrip, though those with smaller hands are advised to try handling it first. 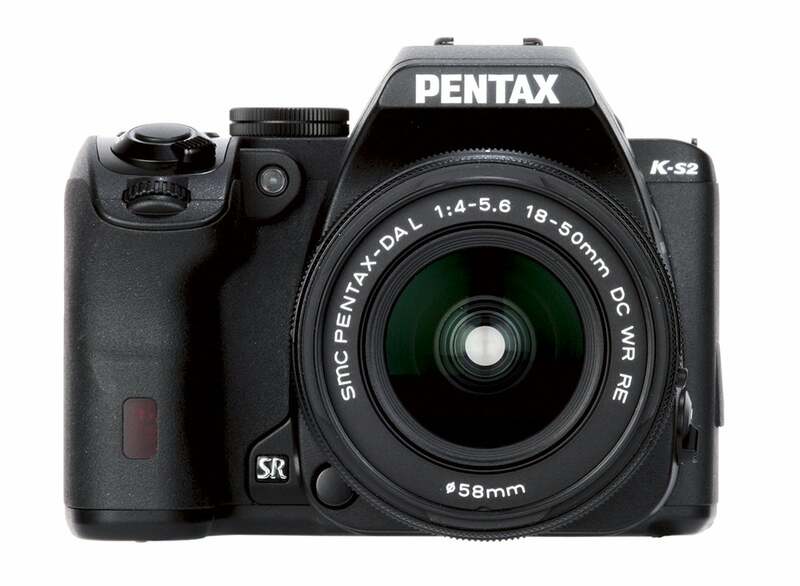 The K-S2 also inherits one of the most useful Pentax DSLR features – the d-pad can be toggled to control functions, including ISO, drive mode and white balance, while a selection of other controls feature dedicated buttons. Its 11-point AF set-up is some way behind its rivals, although it still performs well on static subjects. AF performance in live view mode is more impressive. The K-S2 comes with a collapsible 18-50mm kit zoom. This keeps the package nice and small, but optically, the lens is not great, expecially at telephoto. In general use, the K-S2 is quick with no noticeable power-up or shot-to-shot delay, while the controls and menu system are all intuitive. In a competitive class, the K-S2 is very pleasing to use, thanks to the large viewfinder and impressive control set-up. While the large handgrip might not suit all users, it should grow on you, while the image quality is good in JPEG mode and excellent when shooting Raw. Throw in the extensive range of compatible Pentax K mount lenses and this DSLR is one of the best in its class. The D5500 features the same APS-C, DX-format sensor as found on the D5300, complete with a 24.2MP resolution and once again lacking in an optical low-pass filter. One change to the capabilities of the sensor is the ISO range that spans from 100-25,600 without the need of an extended ‘H1’ setting. This hints at an improvement in image processing, although it still features an Expeed 4 processor and shoots continuously at up to 5fps. The AF set-up is the same as found in previous D5000 series models, comprising of 39 AF points with 9 cross-type AF points. While the specification of the screen remains the same – 3in in size, 1,037k-dot resolution with vari-angle functionality – the unit now boasts touchscreen functionality. While the Wi-fi functionality remains, the D5500 dispenses with GPS capabilities. In terms of the build of the camera, it features a new construction – out goes the polycarbonate exoskeleton and metal chassis, replaced by a new shell comprised of thermoplastic reinforced with carbon fibre. Despite being smaller and lighter than the D5300, it has a more pronounced handgrip in a style that’s akin to the enthusiast D750. Focus speeds are spritely and the only time when AF performance is somewhat tardy is when it comes to focusing with live view enabled. The touchscreen functionality is generally responsive and the touch controls work particularly well. Other elements of the screen are also solid, with colour rendition pleasing, a good refresh rate and high resolution all combining to place it ahead of most entry level models. Excellent detail is captured by the sensor between ISO 100-400, with detail only beginning to drop as you push past ISO 800. Luminance noise is ever more prevalent past ISO 3200. There’s a lot to like about the D5500, with a host of impressive features that belie its entry-level status. The camera is capable of producing a very high standard of image quality with reliable metering, white balance and noise control to a level above its standing. The design enhancements are successful, too, with the new handgrip giving the camera a more comfortable feel. 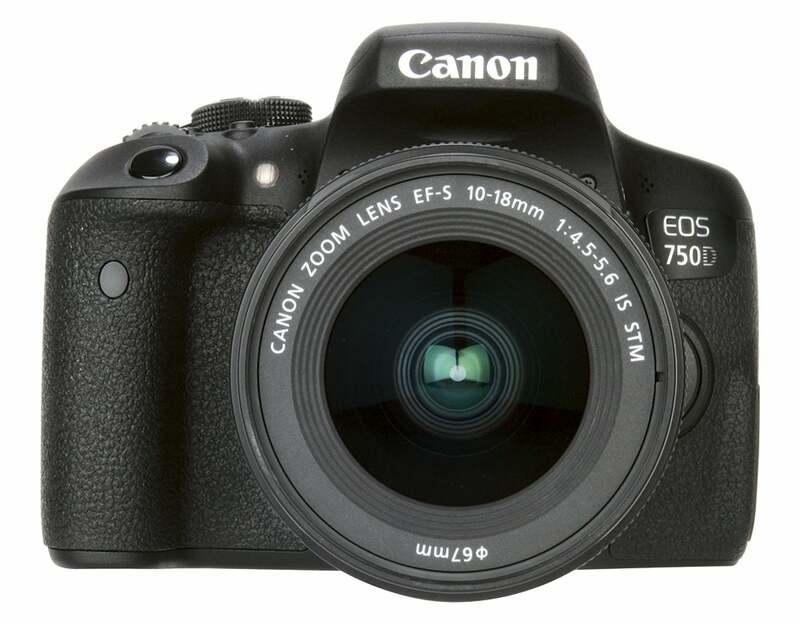 The Canon EOS 750D is targeted at people new to the EOS system, such as those stepping up from a compact camera or a smartphone. It has a new 24.2MP sensor, Canon’s latest DIGIC 6 image processor allows burst shooting up to 5fps, and it can shoot 940 JPEGs or eight Raw files consecutively. 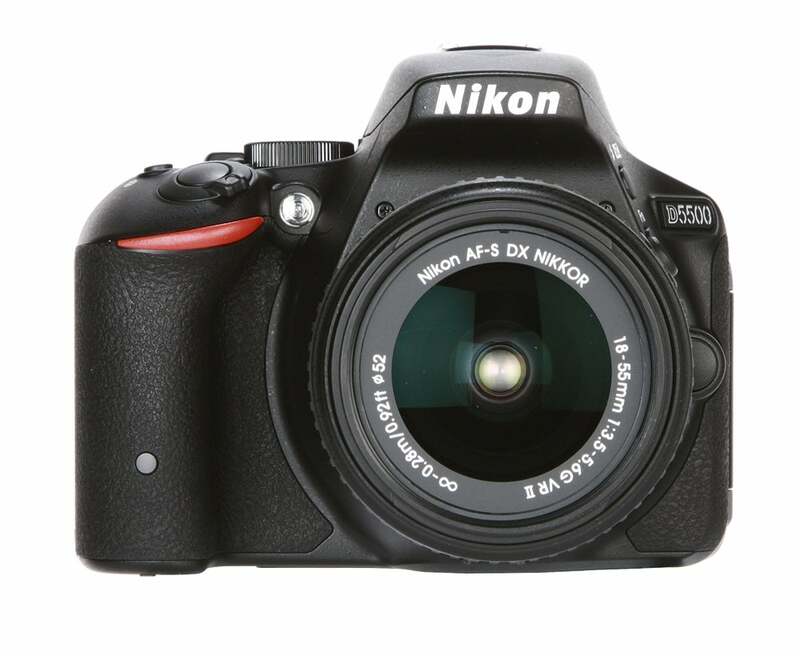 The 750D also boasts a 19-point all cross-type AF system and a 7560-pixel metering sensor. The optical viewfinder reveals 95% coverage of the frame, and the 3in, 1,040k-dot touch-sensitive Clear View II screen is very responsive. Thanks to the simple, well-structured layout of buttons, it’ll allow people who may not have used a DSLR before to get used to the handling very easily. It doesn’t have a really heavy-duty feel, but the panels don’t creak when the body is gripped tightly. The AF performance in live view is exemplary. No off-putting autofocus noises were traced in video footage with the 18-55mm kit lens and the focus tracking can keep up with most subjects as long as they don’t move too erratically through the frame. Metering is capable and reliable, but to balance highlight and shadows in-camera, users may wish to take advantage of the 750D’s Auto Lighting Optimizer or HDR backlight mode. Wi-fi and NFC work a treat, too, plus you can adjust the AF point position and key settings straight from your smartphone’s screen. Detail is very good and traces of luminance noise aren’t apparent until ISO 800. Acceptable results can be achieved at ISO 6400 by shooting in Raw and carefully applying manual noise reduction in post, but garish chroma noise starts to appear at ISO 12,800. There’s a lot to like about the 750D. The sensor can produce prints up to A2 size, the autofocus both in and out of live view is fast and responsive, and the vari-angle touchscreen is superb. It’s ideal for DSLR beginners and while there may be cheaper Canon DSLRs available, they’re not as feature-packed and are unlikely to serve your needs as well in the long term. 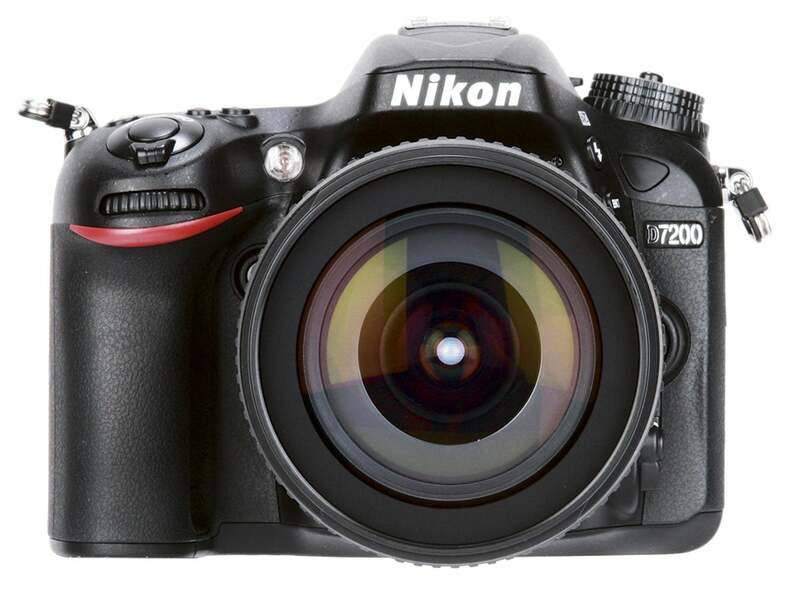 The Nikon D7200 features three main upgrades from its predecessor, the D7100. There’s an impressive 51 focus points coupled with a Multi Cam 3500 II autofocusing system, a new Expeed 4 processor, and Wi-fi and NFC connectivity are added. As for burst speed, six frames per second is offered, upping to 7fps when choosing to shoot in x1.3 crop mode. Video in the 60p and 50p in 1080HD is also reserved for the x1.3 crop mode while lower frame rates at the same resolution without the crop factor are also offered. The new Expeed 4 processor means you can shoot 100 JPEGs or 27 12-bit Raw files before the buffer is full and it also allows better in-camera JPEG processing. Its ISO range is 100-25,600, and the two extended modes of 51,200 and ISO 102,600 require the camera to shoot monochrome. A large and bright viewfinder offers a 100% field of view, and the 3.2in LCD has excellent colour rendition and a great angle of view. The front of the camera is made from polycarbonate, but the top and back parts – which are more susceptible to being knocked – are constructed of magnesium alloy. In addition, the D7200 is dust and weather sealed. It’s reassuringly heavy and well built, but it lacks the refinement of the D750 or D5500. The 51 focus points are made up of 15 cross-type points and the middle point in sensitivity to -3EV allowing it to focus in moonlight. Focus modes include 3D continuous for tracking a subject, and in all settings focusing is incredibly fast even in adverse lighting. Image quality is very good. At ISO 100-800, images are very clean and thereafter noise is noticeable, though ISO 6400 is still usable. The Nikon D7200 has only a few upgrades over the D7100. It’s disappointing that the LCD has no touch functionality or articulation, but the improved buffer capacity is great. Overall, the D7200 is a solid performer. The quick autofocus makes it one of the faster APS-C cameras, and its build is exemplary. And even at high sensitivities, images have a great dynamic range. The EOS 7D Mk II arrives with some eye-catching features targeted at the wildlife and sports photographer alike. The resolution jumps to 20.2MP, while it retains an APS-C sensor, which has a 1.6x crop factor – useful for those who’d like a bit more reach from their lenses. It boasts not one but two DIGIC 6 processors, designed to improve in-camera JPEG processing and speed up the continuous burst to a blazing 10fps. Its large buffer manages a limitless number of JPEGs to be shot at 10fps, or around 31 Raw files. The native ISO range of 100-16,000 is an improvement and is extendable to ISO 25,600 and 51,200 if required. Just like the original EOS 7D, this Mark II version also excels at video, capable of Full HD video at a variety of frame rates, the highest being 60fps in NTSC and 50fps in PAL. Elsewhere, there’s a well-proportioned 3in, 1.04 million-dot LCD screen, however it’s not the tilting or touchscreen type we’d hoped for. It also lacks Wi-fi connectivity – an expected feature by today’s standards. Refinements to the viewfinder see it now feature a transmissive LCD panel that allows for the display of shooting information or a dual-axis electronic level, as well as other settings. To be expected, the build quality is sublime and the weather sealing is so good it’s second best to the EOS-1D X. New controls such as a ‘rate’ button and sprung lever around the joystick that’s assignable to different tasks makes the image capture process even simpler. The 65-point AF system is incredibly accurate thanks to every single point being the cross-type variety. The model has the added benefit of the cross-type point in the centre of the frame offering focusing right down to -3EV exposure stops, while it’s also sensitive between f/2.8 and f/8, making it function well with telephoto lenses and teleconvertor attached. The 7D Mark II also delivers a really impressive focusing performance in low light conditions. Just as impressive is its ability to track moving subjects – you’ll have no problem in keeping up with even the most agile of targets – and set up the AF specifically for the type of response you’d like. 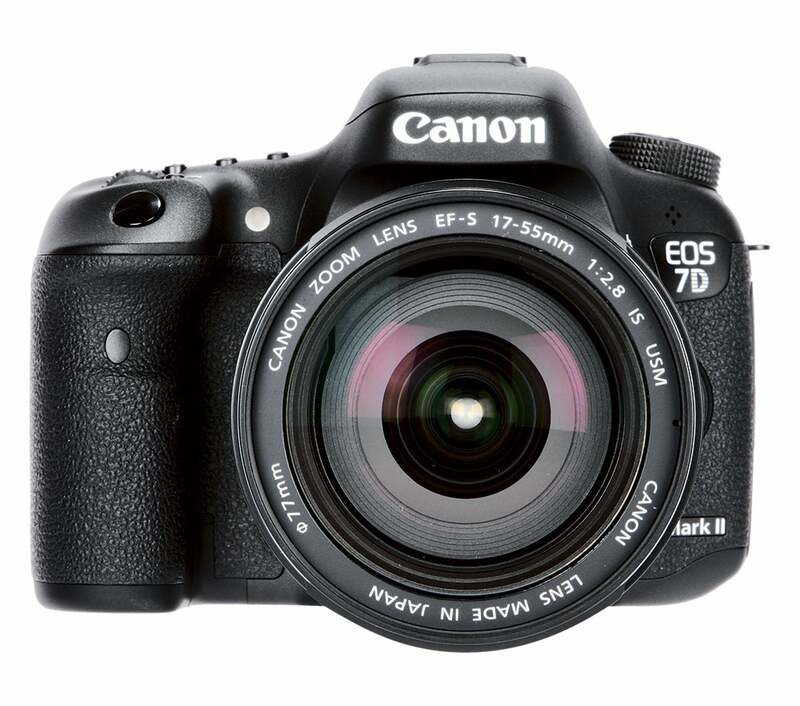 7D Mark II features Dual Pixel CMOS AF technology that is perfectly suited to smooth focusing during video capture. It backs this all up with great image quality. The 7D Mark II delivers even exposures with a good balance between shadow and highlight detail in a wide range of different lighting conditions. Colours are well saturated and images are highly detailed. Shadow detail starts to get lost past ISO 3200, but users can be confident of going to ISO 6400 if a little noise reduction is applied in post processing. The improvements here are best described as class-leading, but it’s the new autofocus system that really impresses. The AF is as good as any in its class, delivering fast and responsive focusing in a range of conditions – and it can also shoot rapidly for sports and wildlife. It is rather disappointing there’s no Wi-fi and the LCD screen is lacking touch functionality, but even with these omissions, the 7D Mark II remains one of the best APS-C DSLRs money can buy.